Boo! I have ANOTHER something spooky for you! Last week, I uploaded and posted about a free set of Halloween themed cupcake toppers. 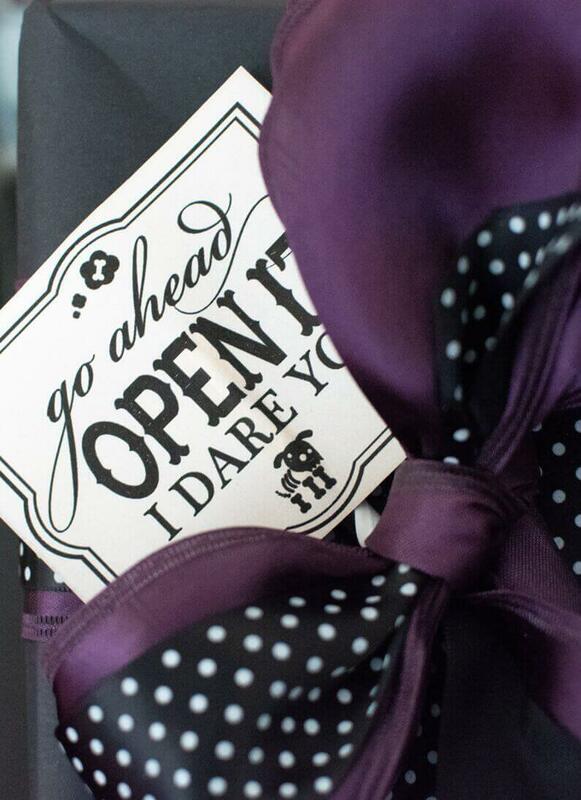 This week, I have created a matching set of gift wrap tags. 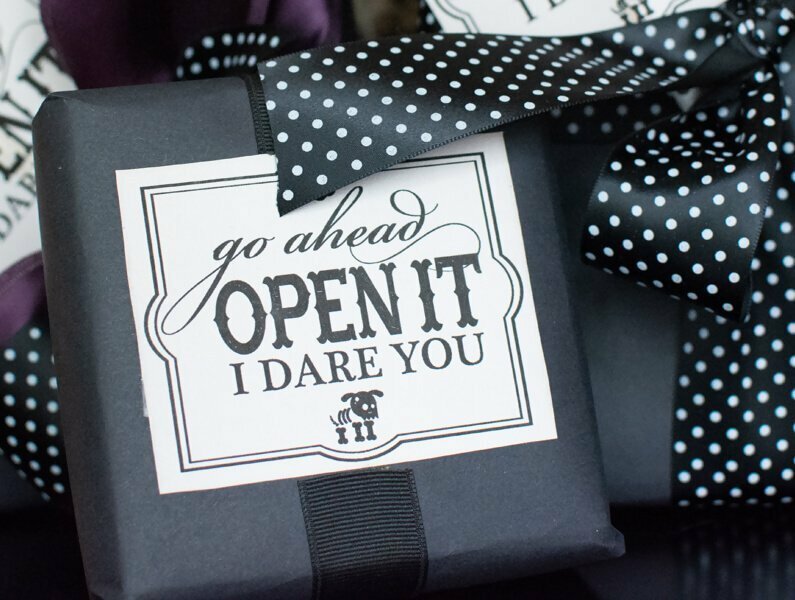 So, if you find yourself with any last minute gift wrapping needs for Halloween, grab this cute tag set and use it to help add a custom touch to your gift. 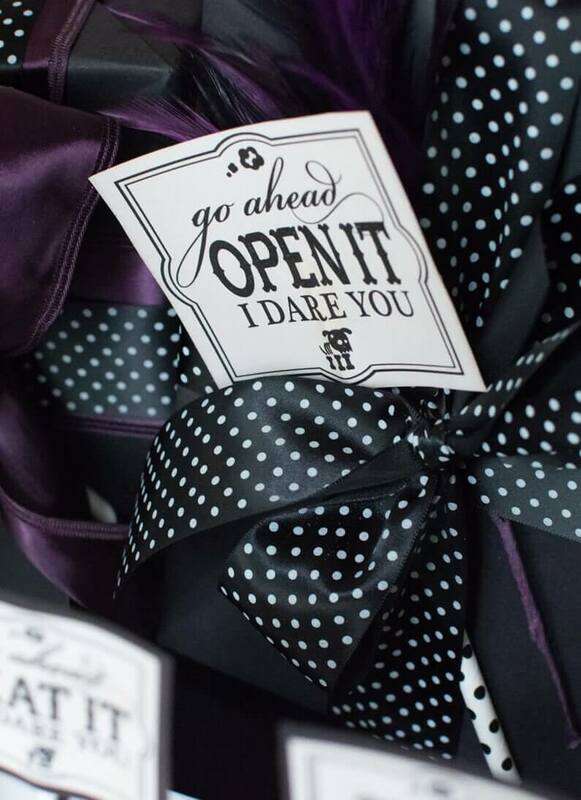 Fold the bottom part of the gift wrap tag underneath itself so that the only part of the tag the recipient sees is the part that reads “go head open it”. Turn the tag over and write your recipients name on it. 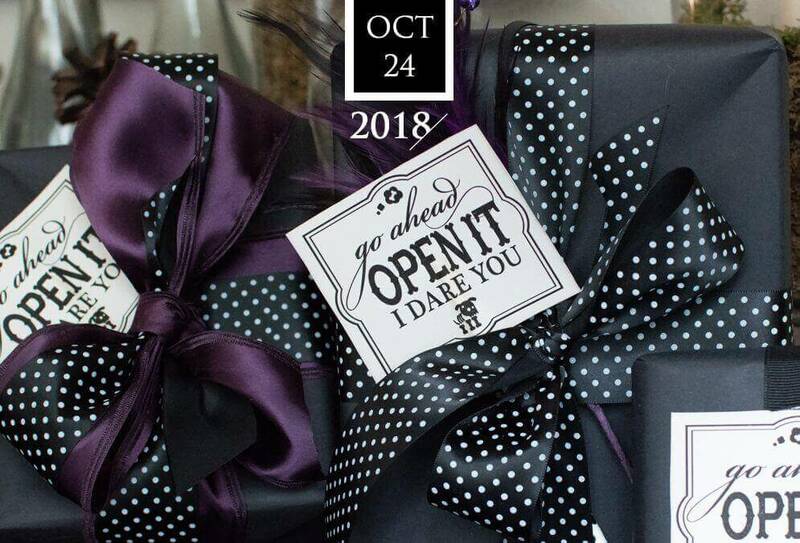 This will cause them to have to unfold out the bottom part of the tag in order to see it as well as read the ‘spooky’ part of it. 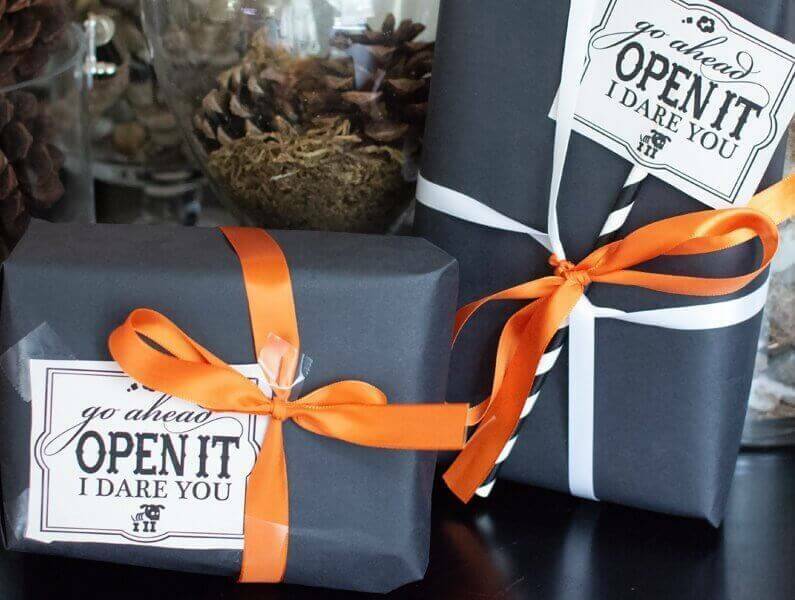 This will help add an extra dose of Halloween fun to your personalized gift.